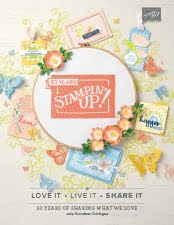 The Mixed Medallions Cards Kit is one of the products you can earn for FREE during Sale-A-Bration with a $90 AUD order. 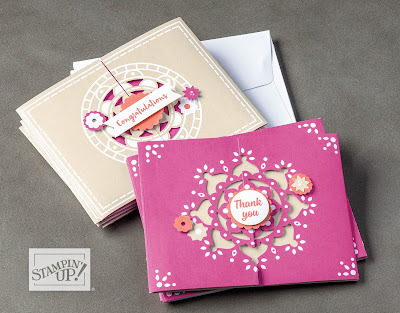 Everything is included in the Mixed Medallions Card Kit for you to make 8 trifold cards. This kit is perfect for paper crafters at all skill levels and the completed cards look pretty in Berry Burst, Calypso Coral and Sahara Sand. 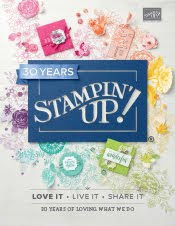 Watch the following YouTube video to see how quick and easy it is to create the 8 "thank you" and "congratulations" trifold cards. 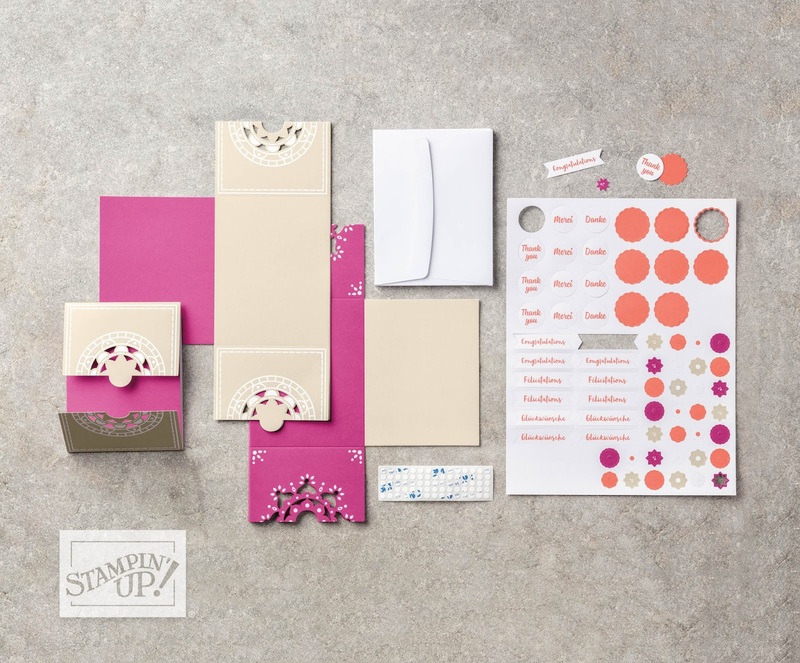 The Mixed Medallions Card Kit includes 8 trifold card bases (4 each of 2 designs), 8 white envelopes, 1 die-cut sheet with English, French and German greetings and 75 adhesive dots.